In his search for a source of latex rubber, Thomas Edison experimented with hundreds of species of plants at his Fort Myers estate, including the poinsettia, Euphorbia pulcherrima. Our records indicate that 150 poinsettias were planted in the research gardens in April and May, 1927. 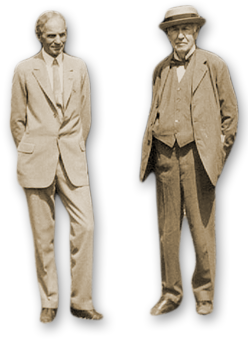 However, like many plants Edison tried, poinsettias were quickly ruled out as a reliable source in favor of other plants like goldenrod. Our records also show that poinsettias were purchased for the home in 1908, long before Edison and his crew began their rubber research. It’s likely that the Edisons just wanted to admire the plant’s brilliant red leaves against its dark green foliage, as we do today. Poinsettias, native to Mexico and Central America, are named after Joel Roberts Poinsett who was the U.S. Minister to Mexico when he introduced the plant to the U.S. in 1828. In southern Florida, we can grow poinsettias in the yard although they can quickly grow to ten feet or more. 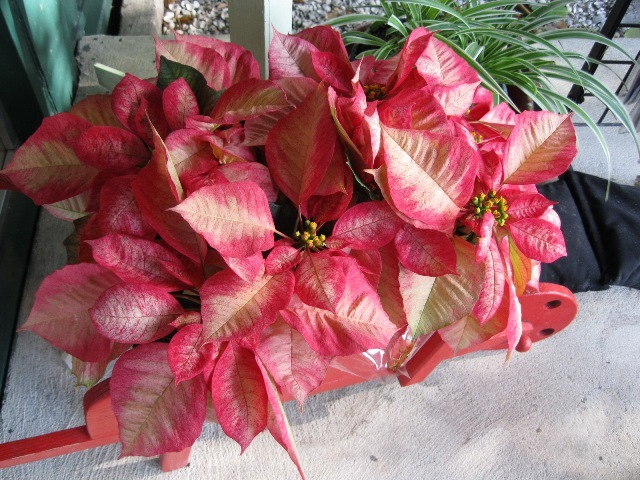 Check our Garden Shoppe: we get regular shipments of poinsettias during the winter holiday season.